Front Page » Events » Bernie Sanders free trade mythology: Or Reason’s? 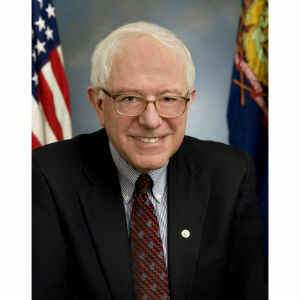 Both Sanders and Chapman are wrong to take the words “Free Trade” in the titles of those agreements at face value, because they have about as much to do with actual free trade as the Ministry of Truth had to do with actual truth in Orwell’s “1984.” But if he’s wrong to be taken in by corporate propaganda that promotes such mercantilist measures as “free trade,” Sanders is entirely right to view the agreements as massive subsidies to the export of capital and the offshoring of production. Ever since FDR and Truman crafted the postwar order at the end of WWII, the central goal of U.S. security policy has been to globalize the economy, expand the volume of international trade and maintain institutional arrangements for propping up global corporate rule. It has been about “lowering barriers” only to the extent that it has resulted in the lowering of actual tariffs. But the main effect has been to increase the role of the state in the global economy. The primary function of both the World Bank and foreign aid has been to subsidize massive infrastructure projects like hydroelectric dams, and the expansion of road and utilities infrastructures without which the export of Western investment capital to the Third World would not be profitable. And in the process, of course, the World Bank and national foreign ministries have managed to create fifth columns of technocratic elites inside Third World governments, and caused them to incur massive debt that could later be used to blackmail them into “privatizing” (i.e. giving away to corporate looters) that same infrastructure. The global corporate regime was also about as far from free trade as possible because it continued to enforce the ownership of land, mineral resources and oil by the same corporate interests that had looted them at gunpoint under colonialism. When necessary the United States has invaded countries or overthrown governments to keep those resources in existing corporate hands, as when it overthrew Arbenz in Guatemala to thwart his land reforms, assassinated Lumumba to guarantee corporate control of the Congo’s mineral resources, or overthrew Sukarno to protect Shell’s oil interests in Indonesia. The so-called “Free Trade Agreements” of the past twenty years or so have only intensified this state of affairs. The tariffs they lowered have been replaced by draconian increases in “intellectual property” rights that are far more protectionist than any tariff could ever have been. The effect of the “intellectual property” accords in these agreements is to create a framework by which Western corporations can legally control global supply chains, even when they don’t actually own many of the production facilities in them. Patents and trademarks enable these corporations to outsource actual production, while retaining a monopoly on disposal of the product. The reduction of tariffs has nothing to do with “free trade”; tariffs simply outlived their usefulness to big business when capital became globalized. “Intellectual property” serves exactly the same protectionist function for globalized capital that tariffs did for national capital — the only difference is that the trade barriers coincide with corporate rather than national boundaries. Under colonialism, Western capital robbed and enslaved most of the world with the protection of overseas colonial empires of Europe, the United States and Japan. “Post-colonialism” is the term for how this process has continued even after the nominal independence of former colonies, with global corporations colluding with local governments to keep right on looting natural resources and getting access to sweatshop or outright slave labor. And what people like Steve Chapman call “free trade,” enforced by agreements like NAFTA and TPP and ultimately by the Pentagon and CIA, is a direct continuation of the same process of conquest, robbery and enslavement that the West has pursued against the rest of the world for the past 500 years.